Disk Drive Thermal Conditioner — Pond Engineering Laboratories, Inc. The K49 Disk Drive Thermal Conditioning System is an easy to use, accessible bench-top unit for disk drive failure analysis, debugging and thermal stress testing. 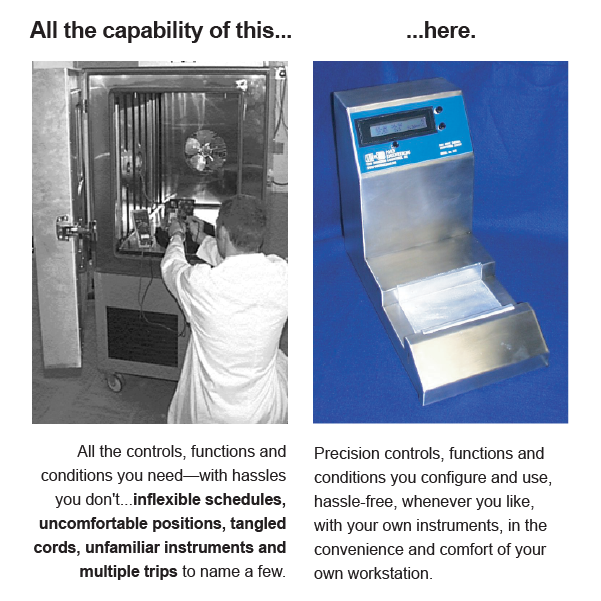 The compact unit provides many of the thermal conditioning functions of a large environmental chamber without any of the hassles. 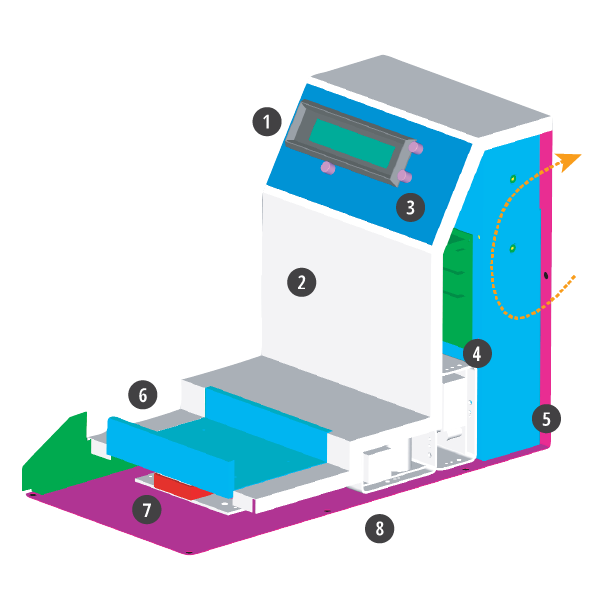 Instead of scheduling time in a chamber and investing time to interconnect test probes through the chamber ports just to open the door, move them again and wait, users enjoy easy access to drive electronics and connections with the drive in a thermal environment right on the bench-top. This simple flexibility is particularly valuable in failure analysis and thermal stress testing. Users simply plug the compact unit in at a bench-top power outlet and slide the drive into the thermal stage to begin analysis. Integrated microprocessor-based controls and the interactive user interface let the user adjust setpoint temperatures from -5 to +75°C. 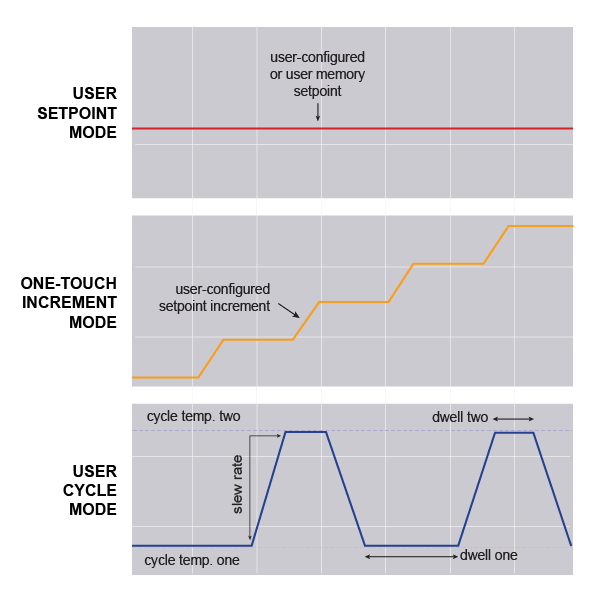 Additional control functions allow the user to set temperature slew rates and even configure the unit to auto-cycle through temperature and time profiles. The thermal stage, with its unique stabilization system, minimizes drive vibration and mechanical stress. 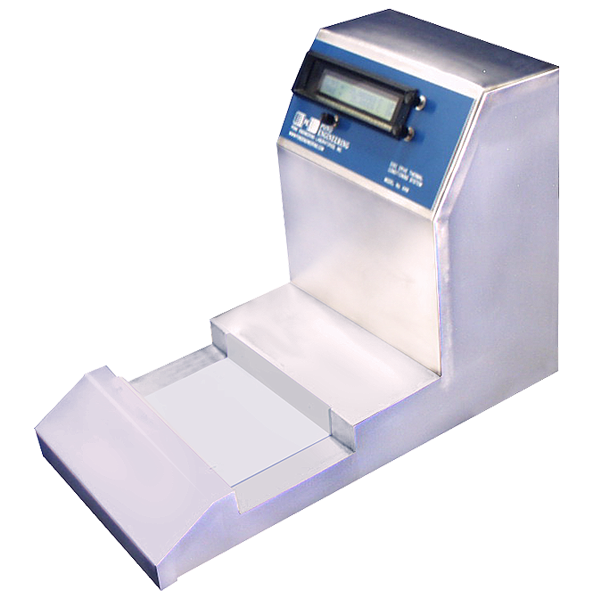 Optional adapters make the unit compatible with packages smaller than standard 3.5" drives. A unique combination of solid state thermoelectric cooling modules in conjunction with a heat-pipe-based heat sink place the thermal stage just 1.5" above the bench-top. This allows the user to probe suspect drives, monitor drive operation, and cycle stage temperature while sitting comfortably at the bench. The design also directs cooling air flow out the back of the unit, away from the user. Never before has a bench-top system made so much capability so affordable. Contact Pond Engineering for a demonstration unit and see for yourself how the K49 Disk Drive Thermal Conditioning System can make your job easier and your time more effective. This system is compatible with standard-size commercially available 3.5" disk drives. Adapters are available for any smaller drive package. Contact us for details.